BBC South Today presenter Sally Taylor visited Brockenhurst College recently to collect a cheque for £920 from Early Years students who hosted a fundraising tea party for Breast Cancer Haven. 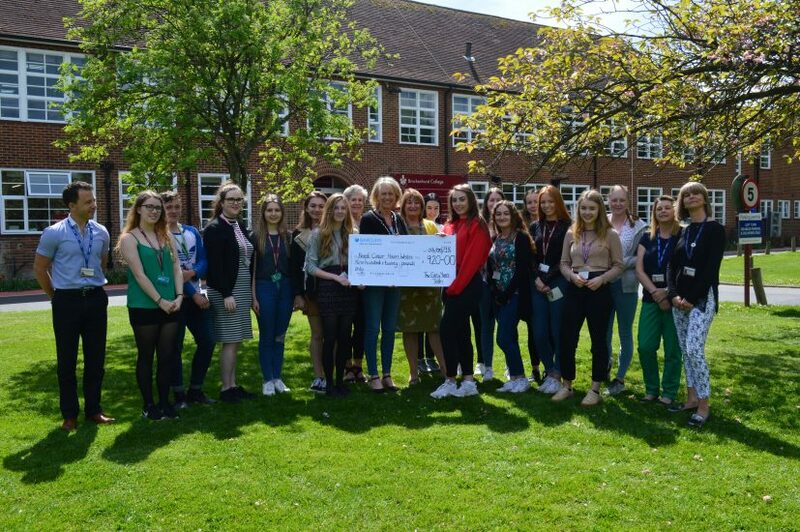 The well-known television personality, who is a breast cancer survivor and ambassador for the charity, congratulated and thanked the students who greatly exceeded their target of £500. 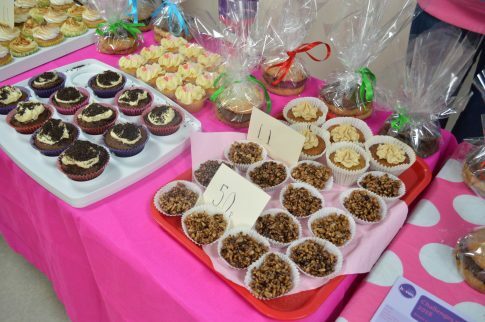 The tea party event included a bake sale and the setting-up of a tea-testing station in a classroom that the students had transformed into a pink cafe to reflect the event’s official colour. Local businesses also showed their support by donating raffle prizes, which appropriately included tea-for-two at Elmers Court Hotel & Resort in Lymington. All the money raised will now go to Breast Cancer Haven’s centre in Titchfield, which provides support for people affected by the disease. The initiative was part of Breast Cancer Haven’s national fundraising campaign known as ‘The Big Tea Cosy’, which ran throughout March.